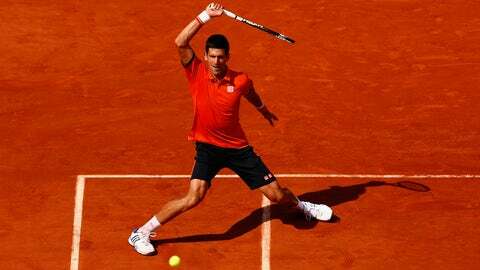 Can Novak Djokovic beat the pressure (and Andy Murray) to win the French Open? Assuming the weather holds (and it’s a big assumption), world No. 1 Novak Djokovic will face No. 2 Andy Murray in the French Open final Sunday afternoon in Paris (morning here in the States). 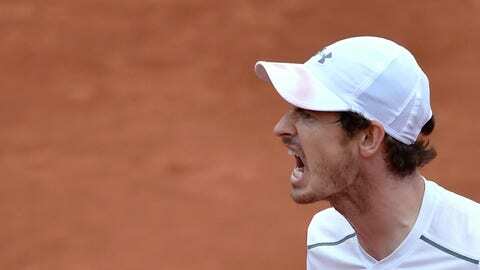 Djokovic has been the most dominant tennis player in the world for most of the last four years, while Murray has become the entrenched world No. 2 in the absence of Roger Federer and Rafael Nadal. Despite being part of that Big Four, Murray "only" has two Grand Slams (and an Olympic gold), while Djokovic will be going for Grand Slam No. 12, putting him two behind Pete Sampras and Nadal for second all time. Throw out the pressure thing. It’s a wash. 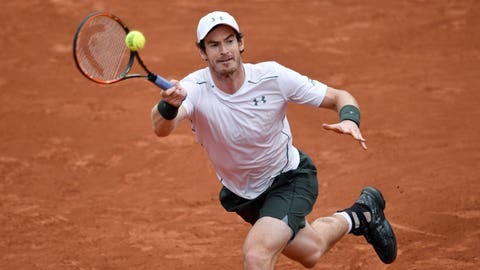 Though the big story will be Djokovic’s quest for the elusive French Open that’ll complete his career Slam, why wouldn’t there be just as much pressure on Murray? He’s playing for his first French Open too. Part of his legacy hangs in the balance. He’ll either be 2-8 in Grand Slam finals after this, with Djokovic basically owning him, or he’ll have three titles, one from a career Slam of his own and seem to be in good position to battle Djokovic over the next two years before age breaks up the Big Four for good. Djokovic has lost one set at Roland Garros – an odd opener in his fourth-round match against Roberto Bautista Agut – but has been dominant the rest of the way, including a respect-your-elders semifinal rout of new top-10er and (probable) future No. 1 Dominic Thiem. 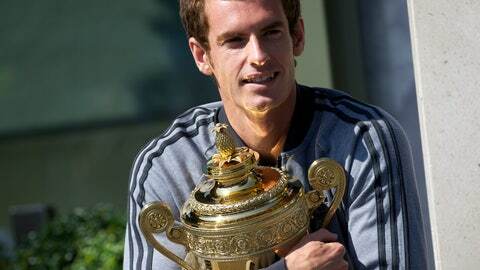 Murray started out playing two five-setters, which only seemed to make him stronger. He thrives in chaos. On the court he’s like a potty-mouth Hamlet, assuming Hamlet had a player’s box he yelled at in between points. 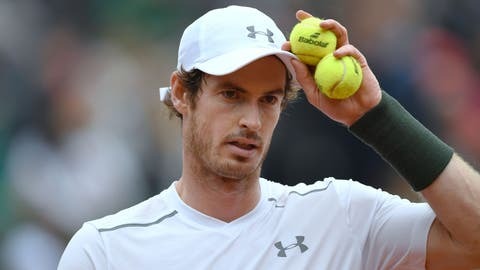 Though Djokovic is 35-3 in Grand Slams after winning the first set against top-10 players, I almost think Murray’s ideal situation would be to lose a close opener. It’ll fire him up and put more pressure on Djokovic, who will be just two sets away from his ultimate (at the moment) achievement. 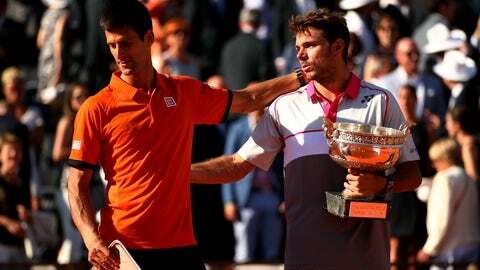 One of those three losses, after all, came in this very setting last year, when Djokovic got up a set on Stan Wawrinka, looked like he was going to cruise, then got broken by Stan and by the time he seemed to know what hit him, the Djoker was down two sets to one. He succumbed to the pressure. Don’t think it won’t be on his mind this time. Both players go through tremendous highs and lows and the key for Murray is to have his peak match with Djokovic’s valley. 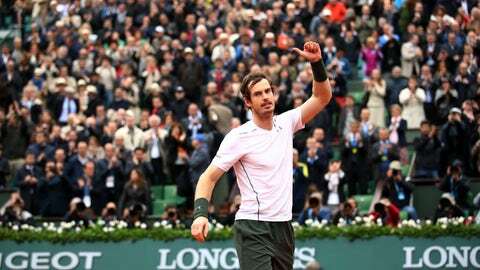 Because at his highs – like he was at during the entire Wawrinka semifinal – Murray can look unbeatable. But even then, the world No. 1 has been playing too well on clay (and any other surface) this year. 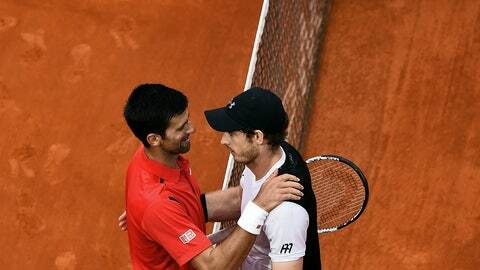 Murray puts up a fight, but Djokovic will win in a match that will be much closer than the score suggests. So, move over, Rod, Andre, Roger and Rafa: There’s about to be another career Slam winner joining the club.